It would appear that the employees of Disney’s Glendale Games Studio will join Jam City while working on the casual Disney Emoji Blitz collection game. Luckily this is exactly the sort of title Jam City has experience with, as the studio tends to concentrate on extremely casual games like Harry Potter: Hogwarts Mystery and Snoopy Pop. We also know that the first official game to bear the fruit of this partnership will be a title based around Disney's Frozen. This is indeed a massive deal for Jam City, and it should really open the floodgates for potential earnings thanks to Disney's extremely lucrative licenses. Whether or not this is a good deal for Disney's fans is another question. Jam City happens to be the same studio that forced its players to pay or wait when a child character in its Hogwarts Mystery game was actively being choked, which is arguably a very sleazy thing to do in a children's game already infested with numerous in-app purchases. But if one instance of greed isn't enough to convince you of how Jam City likes to roll, take a look at the rest of its catalog. You'll notice that some of its games even contain IAPS that reach all the way up to $299, which is pretty outrageous for a bunch of bubble poppers and match-3 titles. The biggest issue I can see with this deal is that Disney is known for its many licenses that appeal to children, and the sort of games Jam City works on tend to employ questionable monetization practices. Obviously, there is a lot of money to be made by targeting children with IAP-laden games that contain their favorite Disney characters, but is that potential money worth flushing the family-friendly image Disney has built over the last 95 years? Sadly this deal appears to be proof that it is. 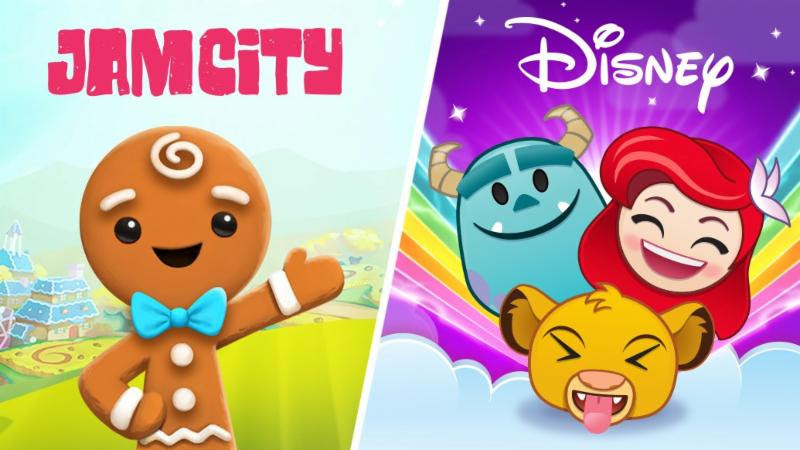 LOS ANGELES; November 14, 2018 – (BUSINESS WIRE) – Jam City, a leader in mobile entertainment, today announced a multi-year mobile games development partnership with Disney that includes Jam City taking over Disney’s popular mobile game, Disney Emoji Blitz. Members of Disney’s Glendale Games Studio will join Jam City and continue to operate and grow Disney Emoji Blitz as part of the Jam City team. Jam City will also have the right to develop new mobile games based on iconic characters and stories from Pixar and Walt Disney Animation Studios. The first game Jam City and Disney plan to develop is a mobile game based on Disney Animation’s Frozen sequel. Jam City is a leader in mobile entertainment, providing unique and deeply engaging games that appeal to broad global audiences. Jam City was founded in 2009 by MySpace cofounder and CEO Chris DeWolfe and former 20th Century Fox executive Josh Yguado. Jam City is the creative powerhouse behind some of the highest grossing and most enduring social gaming franchises for mobile, including Cookie Jam (Facebook “Game of the Year” winner) and Panda Pop. Jam City is the go-to studio for Hollywood, having developed immersive, narrative rich mobile games around iconic entertainment brands including Harry Potter, Family Guy and Marvel Avengers. Jam City has studios in Los Angeles (HQ), San Francisco, San Diego, Bogotá and Buenos Aires. The Jam City team is known for its creative excellence and technological innovation in key areas including storytelling, data science and audience insights.